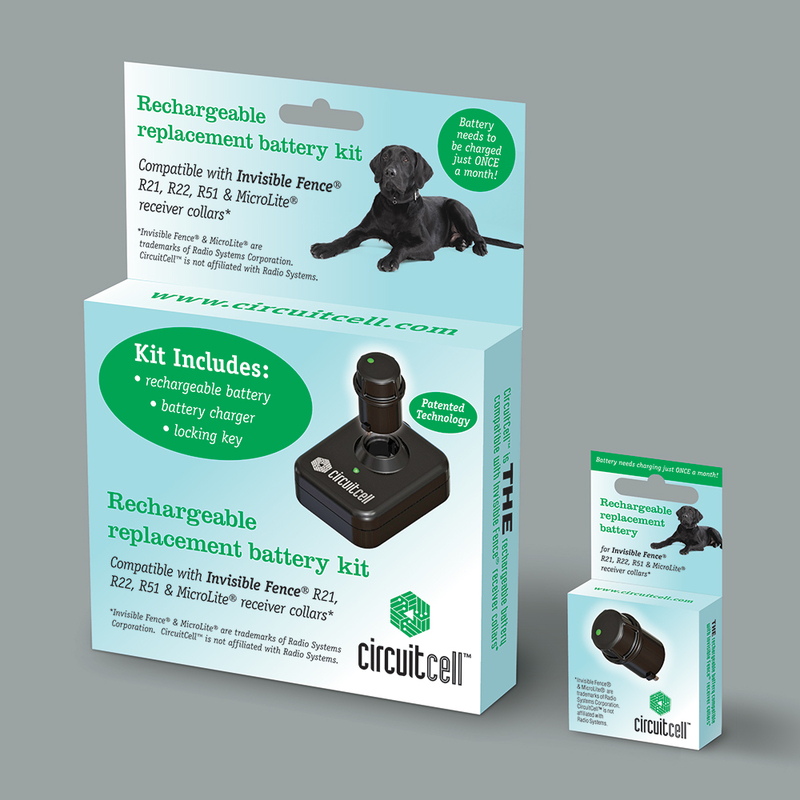 CircuitCell™ asked us to design the trademark and packaging for their new pet fence battery recharging system. We designed a symbol loosely based on Gary Anderson’s iconic recycling symbol. (See: Chasing Arrows) Our symbol was intended to convey two ideas: the printed circuitry that is fundamental to CircuitCell’s patented technology, and the environmental benefits of rechargeable (rather than disposable) batteries. We then worked with the client to develop a inner packaging structure that would safely protect the separate components of their battery kit. Once the structures were finalized, we designed the graphics for two coordinated, pegable packages, incorporating the client’s product photos and a stock photo of a black lab.